There is a third element of the book of Acts which cannot be ignored. Luke is a theologian and his book is telling the reader about the work of God in the world. He has wide variety of theological interests, such as how God’s plan is unfolding in history, or the movement of the Holy Spirit as the gospel moves into new areas of the world. Darrell Bock’s recent The Theology Luke/Acts demonstrates that Luke had many theological interests which run throughout these two books and there are dozens of books on Luke as a Theologian. 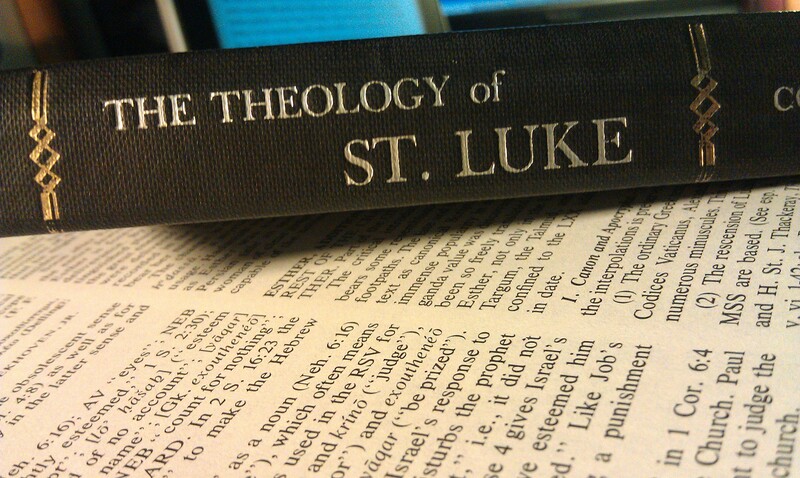 Luke’s theological agenda is the main reason he writes Acts. While he does preserve history in an appealing and entertaining fashion, his main point to present a particular theological agenda. Does recognizing the fact a biblical writer has a theological perspective mean he is “non-historical”? Not necessarily, but there are some thinks Luke simply never addresses which are a matter of historical interest because they are not helpful for his theological agenda. For example, Galatians 2 seems to indicate a great deal more tension between Paul and Jerusalem than Acts 15. If all we had was Acts 15, then we might assume Paul and James worked through some minor differences and found an equitable solution. Galatians indicates Peter and Barnabas were both pressured by James to withdraw from table fellowship with Gentiles. Luke emphasizes the unity of the church at the time of the Jerusalem council; Paul emphasizes his independence from Jerusalem in his letter to the Galatians. Both are accurate, albeit both men write with different theological and apologetic reasons. I want to suggest here at the beginning of a long series on the book of Acts that the final verses of the book may very well be the “theological statement” for Luke/Acts as a whole. In Acts 28:31-31 we are told Paul taught “freely and with boldness” because his preaching of the gospel was the fulfillment of God’s plan. The disciples of Jesus all endure trials and persecution as the boldly proclaim the gospel, including two who are killed on account of their testimony (Stephen in Acts 7 and James in Acts 12). Paul spends quite a bit of time under arrest in the book, often in Roman custody but occasionally he is subject to mob-rule (he is beaten and left for dead in Lystra, the mob at Thessalonica, the riots in Ephesus). Paul also faced opposition from Jewish Christians who want to impose the Law on Gentile converts. From the letters, Paul sees these threats from “insiders” as potentially more damaging to his churches than persecution from civil authorities. Galatians makes it clear that if the Gentiles accept this “other gospel” then Paul’s efforts have been in vain. Divisions and factions in Corinth threaten to destabilize what was potentially Paul’s most successful established church! But at no point in the book of Acts is the gospel itself restrained. Peter might be put in prison, but the Gospel is still free. Stephen and James may be killed, but the Gospel is still free. Paul may spend years under house arrest, yet the Gospel is still going out to the whole world. By looking at the last line of the book of Acts we see how Luke wanted to end the story. The idea that God is fulfilling the great story of redemption in the work of Jesus is a major theme of his two books. Luke 1:1 states that his purpose for writing was so that Theophilus might have an accurate record of the “things which have been fulfilled among us.” The gospel of Luke concludes with the same idea: Jesus himself states that everything that happened fulfilled scripture (Luke 24:44-49). Acts begins with Jesus telling the disciples to stay in Jerusalem and await the coming Holy Spirit which the Father promised to send (Acts 1:4). This promise appears in Luke 3:15-17, but is drawn from the Hebrew Bible as well (Joel 2:28, Jeremiah 31:31-33). Acts is the story of how the fulfillment of God’s promise works its way from Jerusalem to the rest of the world, ultimately to Rome itself. I think this “theology of mission” holds the book of Acts together and may explain why Luke omitted some details we would have liked to have known about. Since unity of the church is important for Luke’s view of Gospel spreading throughout the world, he is less likely to give all the details of factionalism in the early church. Are there other illustrations of this theological agenda to be found in the book of Acts? One of Luke’s focus and agenda in Acts is showing God’s work throughout the world. Although he does tie in historical facts and connects some moments, he also does not mention others, “Acts often narrates the fulfillment of something that was predicted in the Gospel” (Jipp pg. 11). Luke does not ignore the history, he uses it for showing what God is doing. He does hit on some major stories and connects them with other Gospels. When reading this blog, I was reminded of a few things. The first being missions focused and sharing what God is doing throughout the world to the reader. This reminded me of my own life as I am heavily involved with Missions at my church. Throughout the year we work on sharing what missionaries are doing throughout the world. In Acts, Luke has an agenda of sharing these mission moments and telling just how God has been working throughout the world. Through this, he is ultimately telling of God’s plan being revealed. This missions work, however, was never promised to be easy. In fact, the majority of the men faced torture, prison, or death. I think about what it means to be a missionary today, and the difference between the two times. Although missionaries have the same risk today, some places are safer to go than others. One of my favorite parts of Luke’s writing is his end statements, and that is how even though the circumstances God continues to work through the lives of those men. According to Joshua Jipp, the book of Acts has a lot of purposes, but there is a main purpose. This purpose is how Acts is a bridge between the “Gospels” and the “Apostles” (Jipp, 9). Acts is also a book that continues the story of Jesus. As mentioned in one of my earlier posts, the gospels tell a story and they teach lessons. I mentioned the parables. These are lessons that Jesus is trying to teach. The Gospels also show the life of Jesus. This consists of His birth all the way up until his death. This is very similar to the last post as well. We see in the history of Acts, that there is some stuff left out.